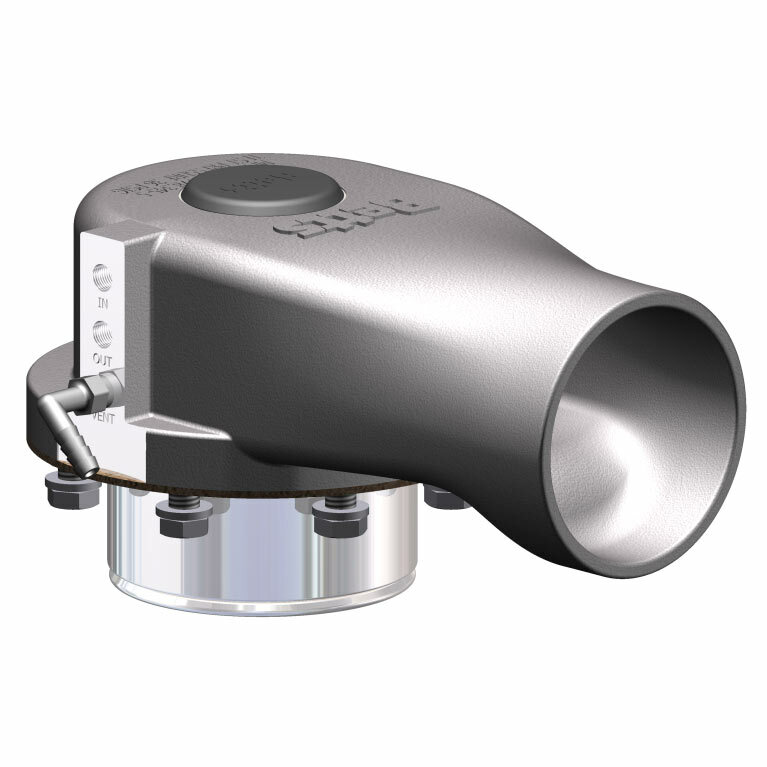 The aluminum 3.5” (89mm) pneumatically actuated interlock vapor valve is designed as a positive vapor recovery valve for use on DOT cargo tanks with markings per US DOT 49CFR§178.345-5(f). The sequential interlock design allows vapor valve to be plumbed in series with loading or unloading valve. Air supply to “IN” port of vapor valve will only exit to “OUT” port after vapor valve has positively opened. If an interlock feature is not required, outlet port can be plugged and valve will function as a basic non-interlock vapor valve. A flanged mounting configuration is provided for mounting to a standard 20” offset manhole cover. The eight 3/8-16 bolts install from inside the tank for added security. Air connections are 1/8” NPT.